Most mornings I take a long walk. I walk both for my physical health and for my spiritual health. I pray while I walk and think through sermons and mediate on scripture. One of the places I walk is a trail around the town reservoir near my home. The trail has lovely water views, views of the Hartford skyline and of course lovely trees. This fall the trees have been particularly striking as they displayed their fall colors. New England in the fall is breath taking. It is hard for me to understand how anyone can be in New England in the fall and not believe in an all powerful Creator who displays His handiwork in such glorious ways. And yet, the vast majority of people in New England do not have a personal relationship with Jesus Christ. It is one of least religious regions of our nation. Millions live in the middle of all this beauty yet are in danger of losing their souls for eternity. The other day I was taking my morning walk and was meditating on this truth when I looked up in a tree and saw a huge hornet's nest. The maple tree was ablaze in all it's fall glory, but hidden in all those glorious leaves was this hornet's nest. The nest was about 2 feet tall and hanging from a branch in a maple tree and filled with danger. I was struck by the thought that this was a vivid reminder of the contrast between danger and beauty that exists in our world. So many people are on edge of a spiritual cliff. The devil wants them to miss the Creator behind the creation so they fall off the cliff. The devil wants them to feel the pain of the hornets of life and become bitter at God, though the devil is the one actually causing the pain. The devil wants people to miss out on the most beautiful thing of all, which is faith in Jesus Christ, and he will do anything to distract people from finding that faith. I have dedicated my life to helping people in New England see the hornet's nest and recognize what it is so they can turn to Christ before it is too late. Would you join me in prayer for spiritual revival in New England? Would you consider adding feet to your prayers through joining us in our efforts? The harvest is great, but the laborers are few. Lord, help us share Your love with those who live in New England. Help us help them avoid the hornet's nest of sin and find Your love instead. 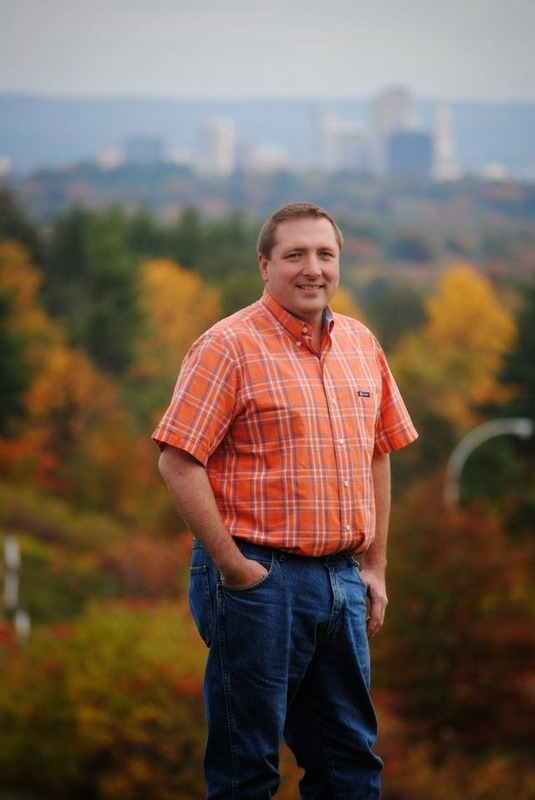 Dr. Terry W. Dorsett is a church planter and author who has lived in New England since 1993. 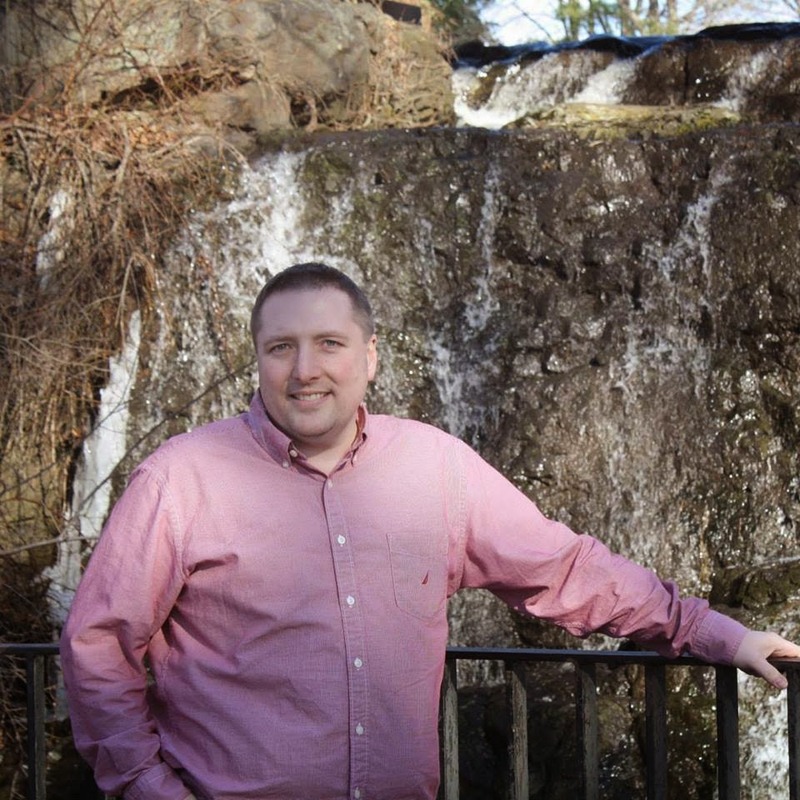 He is a happy father of three young adults, a blessed husband of one great wife, a joyful grandfather, a thankful cancer survivor and convinced that New England needs Jesus more than ever! Psalm 78: 3-4 - Things we have heard and known and that our fathers have passed down to us. We must not hide them from their children, but must tell a future generation the praises of the Lord, His might, and the wonderful works He has performed. 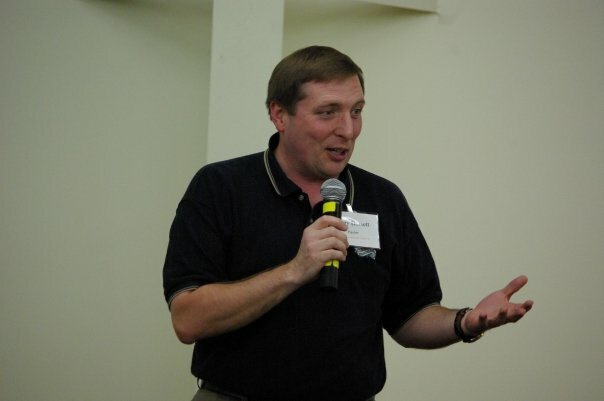 As a church planting missionary, I often speak at mission conferences. 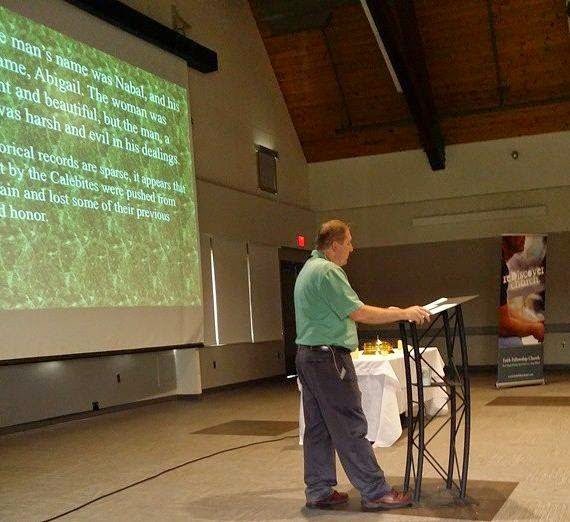 One of my best experiences occurred at Millbrook Baptist Church in Aiken, SC, where I had spoken several times about our church planting ministry in New England, as well as enjoyed the worship services they had each evening. 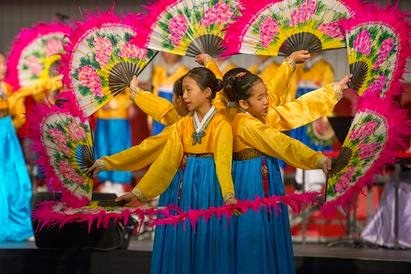 Two nights of the conference the Korean Children's Choir sang and danced. It was very moving listening to the children praise the Lord. Dr. Billy Kim, chairman of the Far East Broadcasting Company, spoke on those nights. He shared the powerful testimony of how during the Korean War a young American soldier named Carl Powers took an interest in him and brought him to America and paid for his education. During that time Kim became a Christian. When his education was complete, Kim returned to his native land and began to minister to Koreans. Untold numbers of Koreans have come to Christ in the last fifty years as a result. Dr. Kim says that whatever was accomplished during all those years must be credited to Carl Powers, for it was Carl Powers who started it all by befriending a young Korean boy who had few prospects for a happy life. I was greatly encouraged by Dr. Kim's testimony because my wife and I have invested a lot of time and energy in sharing the Gospel with the next generation. Many of the young people we have poured our lives into have come from difficult family situations, and we have often wondered if we were really making a difference. Dr. Kim's story reminded me that sometimes it takes a while for the fruit of our labors to be realized, but every young person's life is worth investing in, no matter how bleak their past or their future may look. Instead of being discouraged by the challenges we see around us in the lives of young people, we rejoice that God has called us to share His love with the next generation, knowing that at the right time the harvest will come. Lord, help us always to look for ways to share Your greatness with the next generation. Amen. 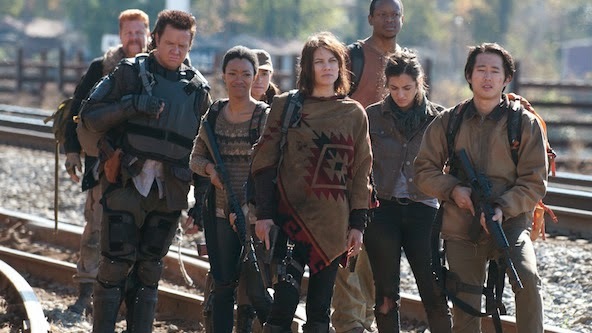 Many people are fascinated with the television series, The Walking Dead, which tells the story of a group of ordinary people fighting for survival in the midst of a world-wide zombie apocalypse. Due to the violence in the show, I am unable to recommend that people watch it, but from time to time an episode will present an idea worth discussing. The show is not a religious series, but occasionally it touches on a religious theme. The screen writers' view of religion is often a bit warped, but I suspect that it is an accurate portrayal of how ordinary non-religious people in our culture think. For example, in season two, episode one, the characters went into a church identified as the Southern Baptist Church of Holy Light. Though the church was identified as Southern Baptist, it was decorated more like a Catholic church, including a life-sized crucifix of Jesus at front. Since a Southern Baptist church would never have a crucifix with Jesus still on the cross at the front of the sanctuary, this was a glaring theological error. But it is doubtful many viewers even noticed the error. A growing number of Americans lump all religion together without any understanding of theology. To many people, Catholics and Southern Baptists are pretty much the same thing, though true practitioners of either of those denominations would be quick to point out the many differences. Should this significant theological disparity really surprise us? The church has not done a good job in recent years of communicating what we believe to those outside the church. Therefore, it makes sense that those outside the church do not understand something as basic as why Jesus is no longer on the cross. But God, in His sovereignty, has not left non-believers without a witness. In the very same episode, a key character in the show, whose young daughter had gone missing in a forest full of zombies, prays and asks the Lord to take any punishment the little girl deserved and give it to the mom instead. Though slightly awry in its focus, the character was expressing the biblical concept of propitiation. It is unlikely that the writers realized they were teaching the Gospel truth that Jesus did exactly what that character asked for when He died on the cross. For it was on the cross that Jesus took all our iniquities, struggles, problems and failures on Himself and gave us all of His righteousness and purity. Only the hand of God could help screenwriters who are unable to get a simple thing right like Jesus no longer being on the cross in a Baptist church, but could at least hint at the much more complicated concept of Jesus taking our sins upon Himself. May this be a powerful reminder that God can use the most confused examples our culture can provide as an avenue to display His truth to a culture that has forgotten Him. Lord, continue to work in the hearts of non-believers to reveal the truth of the Gospel in ways that no one could have ever guessed. Amen. 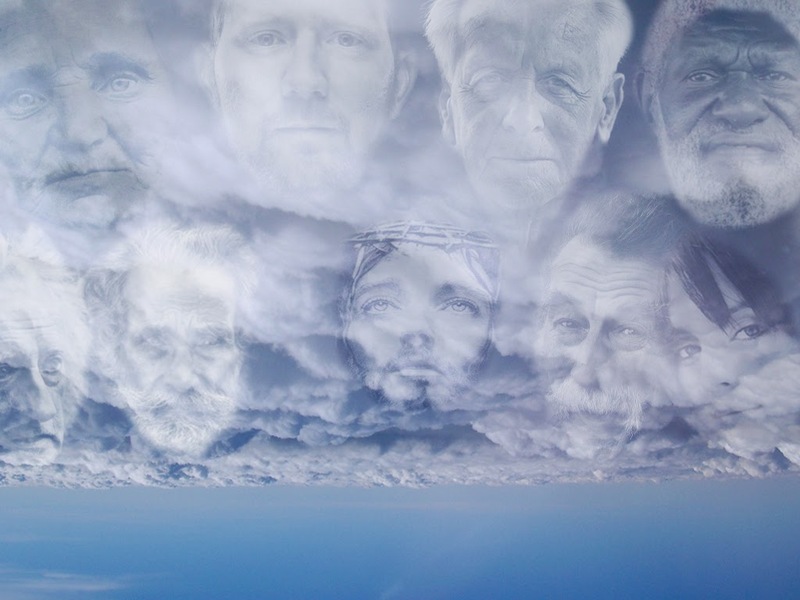 Hebrews 12:1-2 - Therefore, since we also have such a large cloud of witnesses surrounding us, let us lay aside every weight and the sin that so easily ensnares us. Let us run with endurance the race that lies before us, keeping our eyes on Jesus, the source and perfecter of our faith, who for the joy that lay before Him endured a cross and despised the shame and has sat down at the right hand of God’s throne. After years of ministering in a wide variety of situations, I have observed that the initial environment in which a person comes to faith often remains their primary preferred religious experience. For example, I have a friend who came to faith in a house church. He was drawn to the close knit fellowship and the sense of family. 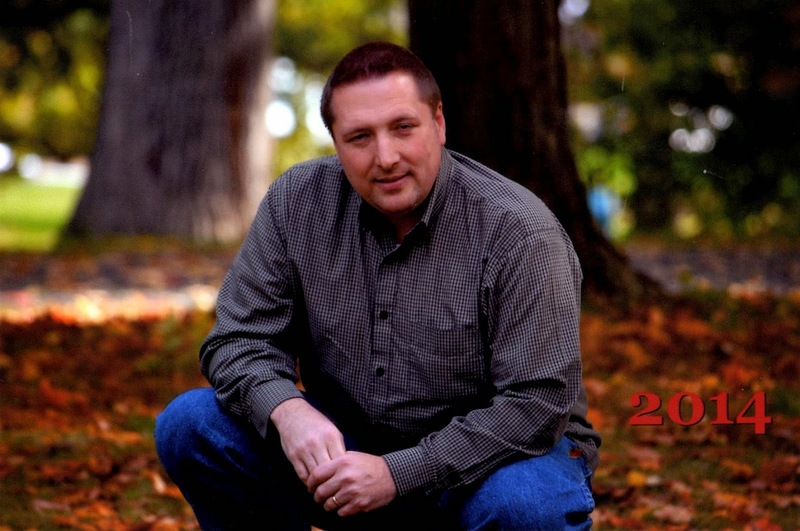 Though he no longer attends a house church, he is still active in a small congregation that has a close knit family atmosphere. At least one time since I have known him, he switched churches because the church he was active in got too big. I have several friends who came to know the Lord during the Jesus Movement. That movement was known for its distrust of organized religion and its appreciation for a more organic approach to faith. That movement also preferred folk music. Most of my friends who came to know Christ in that movement still prefer a folk sound in their worship. They often refuse to officially join a church even though they may attend it for years and be very active in it. Then there is an older couple I know that came to faith in a highly structured church that used a strong liturgy. Though they have changed denominations because the church they grew up in has abandoned biblical theology, they have sought out a church that recites the Lord’s Prayer every week and celebrates communion at most services. In their minds, it just is not church if a service does not include those things. In each case, my friends have remained in the same environment in which they came to faith. Though this was often not the church of their childhood, it normally is the church in which they found real faith in Christ. Those early days of Christian discipleship are important in forming our spiritual DNA. And when various groups come together for a larger worship experience, they bring these aspects of faith with them. I am enriched by seeing all the various ways in which people can worship and still relate to one another as Christians. Though the Gospel never changes and biblical truth is the same for all, the various aspects of church, such as liturgy, music style, or local church polity, are different. Instead of being fearful of those differences, we should celebrate them. The person who prefers the high church can learn something from the close knit house church. The house church can learn something from the liturgical church. The 60-year-old Christian hippie can teach something to the 20-year-old Christian hipster, and the hipster can teach something to the 60-year-old man at church who still sports a pony tail. If we keep our focus on Jesus, the author and finisher of our faith, and if we keep our teaching based on the Bible instead of man-made distinctives, we can worship, fellowship, and serve with those who look at things from a different perspective and be enriched by it. Lord, help us keep our eyes on You and learn from our brothers and sisters in Christ who approach spirituality in different ways than we do. Amen. Proverbs 18:24 - A man with many friends may be harmed, but there is a friend who stays closer than a brother. When people go through difficult times, they will sometimes say, “I know who my real friends are,” in reference to the people who showed outward support during their trials. Such a comment can also be a backhanded way to express disappointment with those who did not show outward support. In a sense, it is also saying, "I know who are not my real friends." While there is some truth to this sentiment, we must be careful not to judge people who did not appear to support us the way we wanted them to during troubling times in our lives. Perhaps things were going on in their own lives that kept them from being able to demonstrate support in the way we had hoped. Maybe they did not talk to a friend who was going through cancer treatments because it brought back painful memories of loved ones who suffered terribly from cancer and died in great pain. Maybe they did not call a friend during a divorce because they were still dealing with the pain of their own divorce. We often forget that people around us have their own issues which may keep them from expressing the support we wish they had when we have gone through our own rough times. Becoming judgmental of them does not help the relationship. If they are indeed our friends, then they are praying for us from a distance. That in itself is huge. When the moment is right, they will express whatever level of support they are able to, even if it is not when and how we had expected. But if we have cut them off already, with some judgmental comment, behavior, or attitude, then we will lose what could have been an important source of support. Lord, help us to support our friends during their times of trouble, and help us not to misjudge those who do not offer the type of help we expected in our own times of difficulty. Amen. 1 Corinthians 11:31-32 - If we were properly evaluating ourselves, we would not be judged, but when we are judged, we are disciplined by the Lord, so that we may not be condemned with the world. 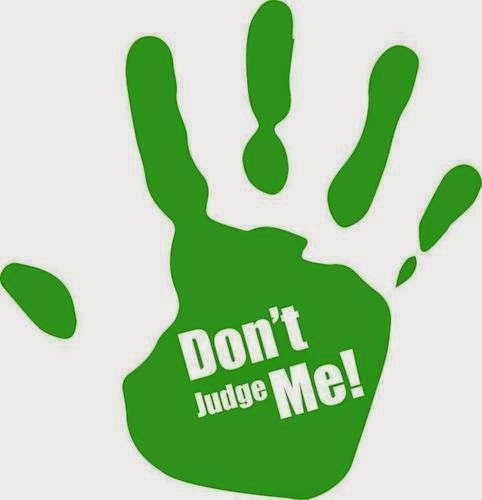 “Do not judge me!” We hear it all the time. Pop singers who do perverted things on stage say it. Movie stars who get DUIs say it. Politicians who have affairs say it. Co-workers who show up to work with a hangover say it. Friends who have made a real mess of their lives say it. Sometimes, we say it ourselves when someone points out our obvious faults. Our culture has become obsessed with the idea that no one should say that any particular action is wrong. For the most part, people have accepted the idea that no one should think negatively of another person for his or her behavior. Such negative thinking is considered judging. Judging has become the ultimate bad behavior. If anyone does point out that someone's behavior was in poor taste, or just plain wrong, the speaker is the one who is criticized, not the person who actually did wrong. This may be an acceptable line of reasoning for our culture, but it ultimately leads to disaster. If everyone does what is right in their own eyes, society devolves into chaos. That is why God gave us rules to follow. But who gets to interpret what God says the rules are? I grew up in a very rigid religious environment in which we categorized everyone's behavior as either good or bad. This was often done without really knowing the person’s heart or any of the details of the actions. In our quest for purity we separated ourselves from those who engaged in actions we deemed bad. Many people were hurt by our judgmental behavior. I no longer want to be the behavior police with some mandate to classify every behavior that anyone around me does as being right or wrong. I also do not want to watch friends ruin their lives because I am too cold-hearted to speak to them about issues they are struggling with. Some behavior is just plain wrong, and one does not have to be a religious fundamentalist to recognize that truth. Somewhere between the two extremes of never saying anything and always pointing out everything is the thin line that we should walk that shows care and concern without being judgmental. Finding that thin line is a constant struggle. One thing that helps is to ask people questions about the things they do. By asking them questions about certain behaviors, instead of just telling them it is wrong, their own thinking is often stirred up. Sometimes they are able to rethink their own behavior and state their own need to change. This can lead to a redemptive conversation about Christ and forgiveness. Even if they do not recognize the behavior as bad, it still makes them think, and sometimes that is the best thing we can help people do. Ultimately, God is the one who judges all of us, and He is the one who gets to decide what is good or bad behavior. Though many of our non-believing friends may not care what God thinks, it is our responsibility as Christians to help them get to that place. By asking questions that force them to rethink their behavior, we can move on to a place where we can share what God’s Word teaches. It may take several conversations, over a period of time, to get there, but we will eventually get there, without having to negatively judge others. Lord, help us know how and when to say something to a friend about his or her behavior. Guard us from having a judgmental spirit but also remind us of the importance of holiness. Amen. Proverbs 28:1 - The wicked flee when no one is pursuing them, but the righteous are as bold as a lion. My friend suddenly stopped coming to church. I reached out to him several times before he finally called back to say that he would no longer be attending church. He was honest in confessing that he was engaged in a particular sinful activity but felt that no one had the right to judge him for his actions. He went on to explain that when he came to church, he felt bad about himself, so his solution was to stop coming to church. Many people in our society have adopted the same approach as my friend. The problem with this approach is that dropping out of church does not address the behavior that brought out the negative feelings to begin with. Regardless of what our culture may say, there are some behaviors that are right and some that are wrong. Simply avoiding people, or groups, who may point those wrong things out will not solve our problem. That is like a person with a heart condition refusing to go to the doctor out of fear of what the doctor may say. If the condition goes on long enough without treatment, the result is not going to be positive and the treatment for the condition will be much more invasive than it could have been if it had been addressed earlier. The same is true when we have poor behavior in our lives that we have not addressed. Eventually we will reap the consequences of that behavior. By the time all those consequences finally hit us, it may cost us far more than we ever intended to pay. In essence, our fear of minor judgment eventually causes us to experience much more significant judgment because we have not dealt with our sinfulness. Perhaps it is time to start re-examining our opinion of church. Obviously there are some overly judgmental churches that may not help us be healthy. But there are many churches that understand that in our human weakness we made bad choices and now we are trying to fix those issues. Those churches will walk with us through the journey until we get where we need to be. They will not tell us that all of our behavior is acceptable, but we already know that. But they will remind us that God loves us in spite of our behavior and that He will help us become the person we always wanted to be. It is time for us to overcome our fear of judgment and start dealing with the baggage in our lives. We are going to need the help of other people to do that. That is what church is all about. It is a group of sinners encouraging one another to be transformed into the image of Christ. There may be some painful moments in the short term as our sinfulness is exposed, but the joy that comes from godly living will be worth it. Lord, help us examine our own hearts so that we can be in right relationship with You. Do not let our fear of judgment cause us to flee the very thing that can change our lives. Amen. And he said to them, "Is a lamp brought in to be put under a basket, or under a bed, and not on a stand? For nothing is hidden except to be made manifest; nor is anything secret except to come to light. If anyone has ears to hear, let him hear." And he said to them, "Pay attention to what you hear: with the measure you use, it will be measured to you, and still more will be added to you. For to the one who has, more will be given, and from the one who has not, even what he has will be taken away. Last week in my personal devotions I was studying the Gospel of Mark. I read a familiar passage of scripture from Mark 4. I confess that I have always struggled a bit with verse 25. That verse says that "the one who has, more will be given, and from the one who has not, even what he has will be taken away." I have struggled with that verse because it seemed unfair to me that the person who already has a lot will get more and the person who as little will lose what he has. What kind of God takes from the poor and gives to the rich? What kind of God takes from the less talented and gives to the talented? What kind of God takes from the person who has no family and friends and gives to the one who has an abundance of both? I have never liked this verse much. I do not ever recall preaching or teaching it to others because I was uncomfortable with what I thought it said. But when I read this passage last week, the Holy Spirit helped me understand it from a whole new perspective. Suddenly I realized that in the context that it was written, it means something quite different than what I have been thinking all these years. The verse comes after the parable of the sower and in the context of Jesus's teaching about people who live generous lives. What this verse is actually saying is that people who lives generous lives will find generosity and those who live stingy lives will have less. It relates to the same principles as Galatians 6:7-9, where Paul reminds us, "Don’t be deceived: God is not mocked. For whatever a man sows he will also reap, because the one who sows to his flesh will reap corruption from the flesh, but the one who sows to the Spirit will reap eternal life from the Spirit. So we must not get tired of doing good, for we will reap at the proper time if we don’t give up." When we live our lives in ways that give of our time, our talents and our treasures to others, then we are rewarded in many ways, making our own lives better. When we live our lives for self, only seeking to fulfill our own desires, we reap the consequences of that selfishness. When I realized the truth of this passage, suddenly it went from being a passage that I did not like to one that makes perfect sense. What a simple truth we can all put into practice. If we want "more" out of life, we must learn to give of ourselves to the Lord and to others. But if we refuse to do that, then even the small satisfaction we get from our selfish approach to life will eventually disappear. That sounds fair. 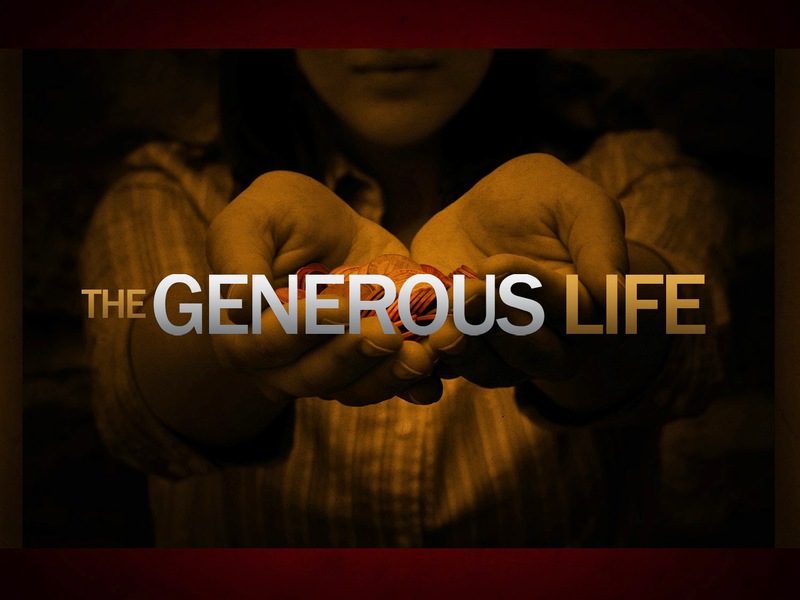 Lord, help us live generous lives making a difference in the world around us. Amen. New England was once the cradle of Christianity in North America. Twice national revivals have swept our nation, both started in New England. But these days finding Bible believing churches preaching the gospel in New England can be a challenge. Though estimates vary, studies reveal that only a small portion of the population, between 4 and 8 percent, attend a Bible believing church on a regular basis. There are some historical churches that have remained true to the gospel, even as they watched other churches in their denominations drift leftward theologically. There are some new churches that have sprung up in the last 25-30 years in an effort by various groups to re-evangelize New England. But added together, both the historic and the new, bible believing churches are much less numerous in New England than in other parts of the nation. But because people are basically spiritual beings, many things have sprung up in New England that attempt to fill the spiritual void. Some of that stuff is just empty philosophy or ritualism, but other parts of it are much darker. This causes many people sense a spiritual darkness in New England. Some have called the region a "preacher's graveyard." Some think New England is the devil's territory. There is even a sign that says so. 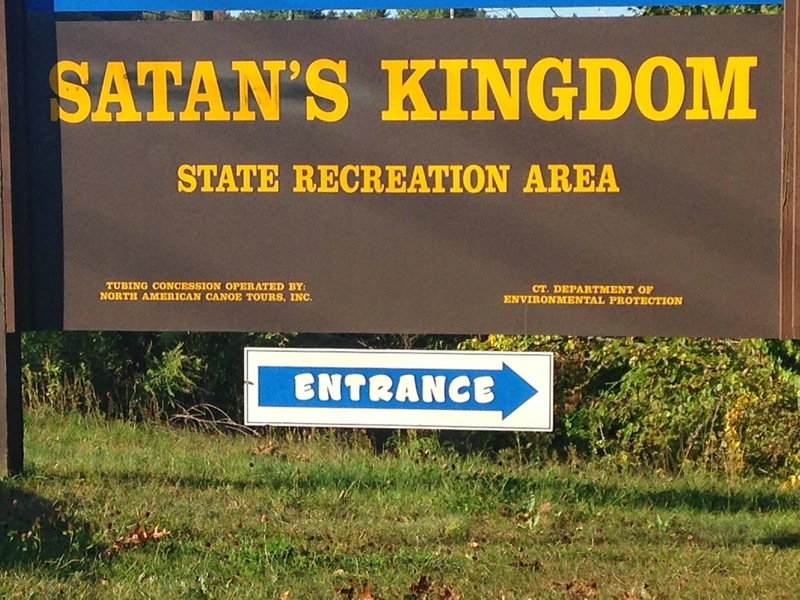 While out exploring, my family and I came upon a state recreational area in New Hartford, Connecticut called "Satan's Kingdom." Legend says it was originally inhabited by a group of tough people who were hard to get along with, which how it got its name. A preacher came to visit the area and prayed for the "destruction of Satan's Kingdom," referring to the spiritual side of things and not realizing it was also the name of the physical area. Needless to say, the prayer did not go over so well with the local populace and many of them decided not to be on speaking terms with the Lord. I do not know if the legend is true or not, but I do know that many in New England are still not on speaking terms with God. The good news is that God is still on speaking terms with them, even if they act like they are not listening to Him. God has not left Himself without a witness. Historic churches continue to hold up the Light of Christ. New churches are springing up to join them in pushing back the darkness. Perhaps the numbers are not what we wish they were, but they are growing, slowly, but growing. It is not always easy to minister on the edge of Satan's Kingdom, but all who do carry the promise of Matthew 16:18 "And I also say to you that you are Peter, and on this rock I will build My church, and the forces of Hell will not overpower it." God will build His church, and hell cannot defeat it. 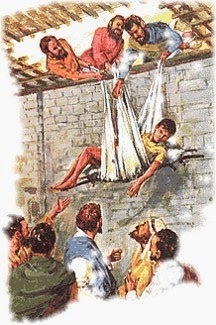 Recently my morning devotions were from Mark 2, the story of the four friends who brought a paralyzed man to Jesus but had to let him down through a hole in the roof because the crowd around Jesus was so thick they could not get to Jesus any other way. Normally, when I read that text I think about the commitment of the friends to get the paralyzed man to the Lord. And that is something worth noticing. But this time when I read the text I was struck by the actions of Jesus. He stopped preaching and healed the man who was brought to Him. We know that Jesus was a great preacher. The fact that such a crowd arrived to hear Him reminds us of His effectiveness in preaching. There is power in preaching, the scriptures remind us of that in numerous places. But in this instance, Jesus stopped preaching His sermon and did something else to help the man. I believe in the power of preaching, but I also believe we must offer practical help to people in their time of need. Churches that merely preach, but do not back up their preaching with action that flows from the biblical truth sermons offer, are missing an important aspect of the sermon, the "doing." When Jesus stopped His sermon and healed the paralyzed man, it proved His preaching was from God. Though I may not be able to do things exactly the way Jesus did, surely, I can learn something from His example. As a preacher, I must learn to live what I preach and lead my church to put into action all the lofty words they hear in a sermon. We must be living sermons in order for our spoken sermons to have value. Lord, help us live out the truth heard in sermons. Amen. Nehemiah 3:3-5 - The sons of Hassenaah built the Fish Gate. They built it with beams and installed its doors, bolts, and bars. Next to them Meremoth son of Uriah, son of Hakkoz, made repairs. Beside them Meshullam son of Berechiah, son of Meshezabel, made repairs. Next to them Zadok son of Baana made repairs. Beside them the Tekoites made repairs, but their nobles did not lift a finger to help their supervisors. When the Jews returned from exile to Jerusalem, the city was in ruins. One of their first tasks was to rebuild the wall around the city, so it would be a safe place to live. Nehemiah 3 lists the community leaders who each adopted a certain section of the wall to rebuild. It is a wonderful picture of what can happen when a group of people band together, each doing his or her part, to get a job done. However, verse five contains a very intriguing phrase about one set of leaders. The Tekoites made repairs, "but their nobles did not lift a finger to help their supervisors." 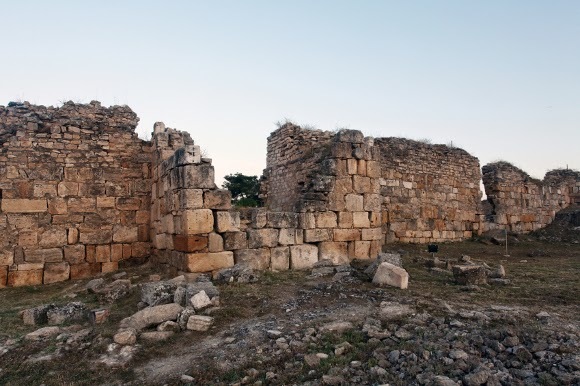 The Tekoites were from the small town of Tekoa, which in historical times was the home of David's mighty men. Though we do not know the whole story, from this verse, and from other places in scripture, it appears that the general populace of Tekoa was made up of hard working people who could be counted on to get the job done. In fact, they are one of only three groups that eventually repaired more than one section of the Jerusalem wall. This indicates that they were not only willing to do their share of the work, but were willing to go beyond the call of duty and do even more than what most other people were willing to do. Though the Tekoites were hard working, they had leaders that were not so great. For some reason their nobles were not willing to get personally involved in rebuilding the wall. Perhaps they thought it was beneath them. Maybe they were too busy entertaining other nobility. For whatever reason, they were not supportive of what God had led the people to do. Their lack of support was noted at the time and recorded for all history to read. Thousands of years later we still know of their lack of leadership at a crucial time in history. There are powerful parallels in this passage of scripture and our current culture in North America. Many people are working hard trying to earn a living, raise a family, help their neighbors, and make their communities better places to live. But where are the leaders? They are occupied with other things. They are focused on making more money or increasing their political power. Few leaders seem interested in joining the common people in making our nation a great place to live. History will record their lack of leadership in this critical hour. This verse also applies to the Christian sub-culture that exists inside North American culture. As the walls of Christendom have fallen into ruins, we must be bold as we seek to rebuild the spiritual foundations on which our society was built. Far too many Christian leaders are more focused on building their brand or erecting larger buildings, but fail to interact with communities that are crumbling around them. History will also record their lack of leadership in this critical hour. Lord, help us be leaders and focus on building Your Kingdom and sharing Your Word with others. Amen. Did He Really Say What I Thought He Said? A good friend and I were chatting the other day about a complex situation we were concerned about. We had gathered information about the situation from a variety of sources, but when we compared notes, there were significant differences in opinions from those involved. We questioned aloud how the stories could be so different. Could one or more of the parties be purposefully lying to us? While it is possible that one or more parties was being less than truthful, it seemed more likely that each side was giving the truth as they saw it. Often our perspective greatly influences how we perceive an event. For example, if someone jokingly says something us, but we thought they were serious, we become offended, even though it was only meant in jest. From our perspective, they were being mean, but from their perspective, they were only joking. Or if we overhear a piece of a conversation, what we think we heard may not be what we heard at all, no matter how convinced we are that it was. Or perhaps someone makes an offhand comment that we barely remember, but then months later something else is said that makes that offhand comment come back to mind, but now we hear that comment in light of the current situation, though that was not the context that it was said in at all. All of these misunderstandings can be cleared up with adequate communication when calm heads prevail. But in tense situations, those very same misunderstandings grow and morph into something much darker than they really are and make a bad situation even worse. Neither side is trying to lie; they simply view the same set of facts from different perspectives. A good rule to follow is to make sure we do not assume we know what a person meant without asking them first. It is better to ask a clarifying question to make sure that what we thought we heard is what the other person meant to say. The more tense the situation, the more questions we should ask and the fewer answers we should assume we already know. Another concept to remember in these type of situations is that sometimes we will never be able to sort out exactly who said what to whom and why. Sometimes people say things they do not mean. Other times they say things without realizing how it sounds to those around them. Even if we recorded what they said and played it back to them, they would not remember saying it, because at the moment it was said, it did not mean anything to them. When those who heard it interpret it through their own lens, their words no longer mean what they meant them to say. So it becomes pointless to try to get everyone to retract or restate their past comments. All we can do is clear up the present situation the best we can and move forward. We should ask all the questions we can, seek to understand the best we can, and endeavor to communicate better in the future and then offer the gift of forgiveness and move forward. 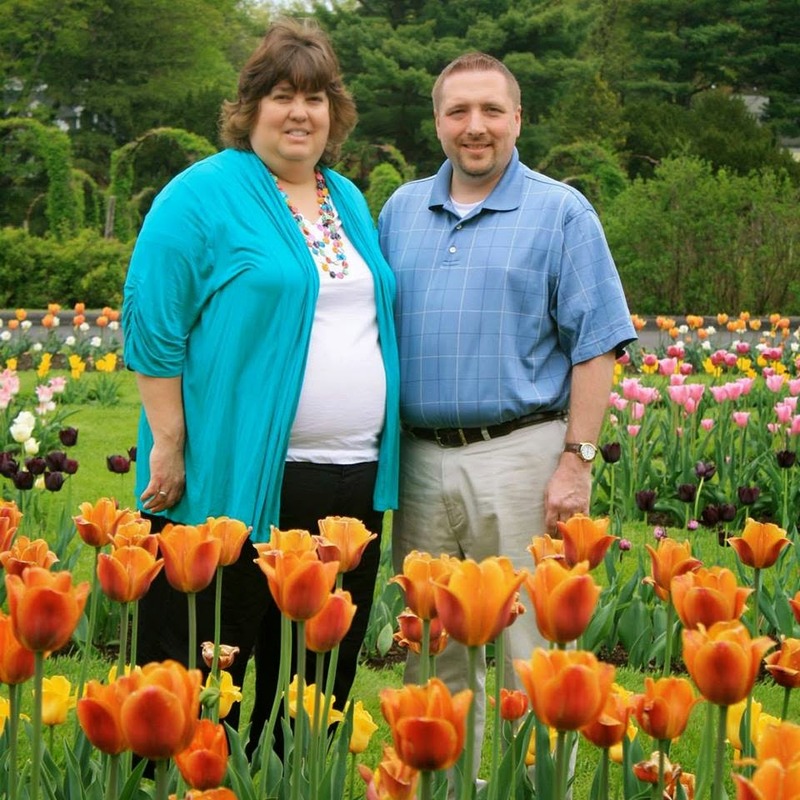 Dr. Terry W. Dorsett is a church planter and writer who has lived in New England for over 20 years. An energetic speaker, he often finds ordinary things in life to help him teach powerful truths from God's Word. Psalm 107:28-29 - Then they cried out to the Lord in their trouble, and He brought them out of their distress. He stilled the storm to a murmur, and the waves of the sea were hushed. Normally I am a very good sleeper. It drives my wife crazy that I can lie down and be so deeply asleep in minutes that she has to nudge me to roll over so I will stop snoring. But occasionally I will wake up in the middle of the night and not be able to go back to sleep. During those wakeful nights sometimes I check Facebook to see what is going on in the middle of the night. 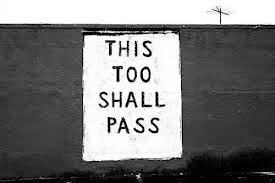 Every time, I see posts from friends who have significant prayer needs at that very moment. I then spend time praying for their needs. Normally I would have been asleep and not even known about those needs until the next day when the immediacy of the issues had passed. I believe the Lord wakened me so I could answer the call to prayer. Most of us have had similar experiences of waking in the middle of the night for no reason. It is easy to just watch television or read a book until we get sleepy again. But perhaps the next time it happens, instead of watching reruns on TV or simply tossing and turning, we should consider wakefulness a call to prayer. Lord, thank You for calling us to prayer. Amen. I like to read articles from the religion section of Huffington Post. I do not always agree with the articles, but they help me see religious issues from a wider perspective, which I think is always helpful. Lately I have noticed a large number of articles in which the authors, who are by their own admission non-religious, or in some cases, religious, but not evangelical, attempt to correct evangelical thinking. These articles are scolding in tone and often reinterpret the words of Jesus. What I find so amazing about the articles is that instead of actually presenting any historical facts about what Jesus said, they merely offer their opinion about things, wrongly assuming their opinions are fact. They often twist what Jesus said into something quite the opposite of His teaching. In the comment section below the articles, evangelicals call the authors on these very clear misinterpretations. Though some are hotheads, most offer reasonable objections to these misinterpretations. Instead of actually addressing any of the issues evangelicals make in the comments, other commenters use bullying and ridicule in an effort to silence any evangelical voices. Some writers frame their arguments with subjective phrases like "What kind of Savior would believe...." Or "If Jesus were alive today clearly He would....” or “Surely God would never have intended us to . . . .” while making suggestions that go against what the Savior actually said He believed or actually did. The whole thing reminds me of the conversation the Serpent had with Eve in the Garden of Eden. The Serpent tried to confuse the issue by questioning what God had told Adam and Eve. The enemy loves to through us off guard with confusing questions and dishonest tactics. It is in his nature to lie and twist. I suppose we should not be surprised by the lack of spiritual understanding by those who by their own admission are not believers in the orthodox meaning of the word. It is good for us to remember 1 Corinthians 2:14 "The person without the Spirit does not accept the things that come from the Spirit of God but considers them foolishness, and cannot understand them because they are discerned only through the Spirit." People without God's Spirit cannot understand those things that the Spirit has revealed. Their minds are clouded by the darkness of sin. My exhortation to my friends is not to be swayed by explanations about spiritual things from those who are not spiritual. They cannot understand the things of God so they must turn the explanations inside out and make them "human" instead of supernatural. They must reinterpret the truth and twist it into something else in order for it to make sense in their own veiled minds. Instead of being swayed by the subjective arguments, we must keep our eyes on Jesus, and continued to study His Word. Jesus and His word are the only sources of wisdom and life giving hope that will matter in the end. This is a truth we must remember. 1 John 4:9-11 - God’s love was revealed among us in this way: God sent His One and Only Son into the world so that we might live through Him. Love consists in this: not that we loved God, but that He loved us and sent His Son to be the propitiation for our sins. Dear friends, if God loved us in this way, we also must love one another. The summer my daughter got married she came home for a short time and packed up most of her belongings. The little that remained was either sold in a yard sale or donated to a local charity. Her room sat empty, except for one antique dresser. Weeks later my middle son, along with three roommates, leased his first house. He also cleaned out his room. It sat empty across the hall from my daughter’s room, except for one desk he no longer needed. A couple of weeks after that, we dropped our youngest son off at a college more than 400 miles away. His room was also empty, except for a few items he stacked in boxes in a corner beside his bed. In the space of a few short weeks, all three of our children were gone. Their empty rooms bore witness to our new status as empty nesters. To be honest, my wife and I were pretty depressed that summer. Deep inside we knew we should not complain. We had three healthy children who were all in various stages of getting an education and had bright futures ahead of them. Perhaps part of our struggle was that we had almost lost our younger son when he was four years old due to a severe car accident. We remember the wrenching pain in our chests when the doctor told us to tell him goodbye because we were not likely to see him again. We also remember the joy we felt when we found out he was going to make it. After such a horrendous experience, we were filled with gratitude that all three of our children were alive and healthy. But it still hurt for them to live so far away. Many of my friends who had already experienced the empty nest told us that after a while it would get better. They were right, but for that whole season, it just hurt to have our children so far away. Imagine how it must have felt for the Heavenly Father to send His Son Jesus down to earth, knowing the pain, hurt, and heartache He would experience? But it was what had to happen for the justice of God to be fulfilled. In the end, it was a good thing, but there must have been moments when it hurt the heart of the Father. As we deal with our own empty nest, we must remember that Jesus’ story ended with the salvation of mankind and victory over sin and death. While our own children obviously will not accomplish as much as Jesus did, they may very well change the world. But it requires us letting them go, even though it hurts. Lord, help our children to continue to walk in the truth, and thank You for sacrificing Your Son for all the children in the world whom You are calling to Yourself. Amen. Proverbs 22:6 - Teach a youth about the way he should go; even when he is old he will not depart from it. My wife and I vividly recall dropping our daughter off at a college over 1,000 miles away from our home. Before leaving we helped her get situated in her dorm room, which included numerous trips to Walmart. We gave her more hugs than we could count, and then we drove away. For her, it was the beginning of an exciting four year adventure, which culminated when she graduated with a degree in elementary education. Along the way she met many new friends. She took mission trips over her spring breaks to Ecuador, Honduras, and Greece. She met the young man that became her husband. She learned, studied, and slowly transformed from our little girl into a wonderful young woman, of whom we are very proud. From her perspective, it was a great adventure. For my wife and me, the day we dropped her off was the beginning of the long, and sometimes painful, process of letting our children go. We started crying as drove away from the college and cried for the next 500 miles. When we returned to our home in New England, there was an empty place in our lives that our sweet girl used to fill each and every day. As the years went by, we adjusted to that empty place, but we never really grew to like it. Then we did it again for each of our sons, and each time there was pain as we drove away. How did our children grow up so fast? Where did the years go? We are thankful all of our children are living out the Christian values and faith we instilled in them, but we often long for the years we watched them play hide and seek in the yard or walked them to their Sunday School classes. Those who still have little children in their home should enjoy each and every moment. Those who have teens at home should savor every moment with them, even when they act crazy and make dumb decisions. Those who have college students must pray for the Lord to keep those students close to Himself, living out the values that were instilled in them when they were young. Praying about that empty place in life helps too. Times flies by faster than it should, and while we have our children near us we must teach them to love the Lord and to love other people. Then, as painful as it is, we must let them soar with wings of eagles to all the places the Lord will take them and anxiously await the arrival of grandchildren, so we can laugh and play again! Lord, help us love our children and teach them well in all stages of their lives. Then help us to let them go when it is time. Amen.